There’s no doubt in anybody’s mind that when we find ourselves at our local coffee shops, we naturally gravitate towards wanting to take pictures. The combination of the cozy environment, social ambiance, and the sight of mouth-watering samples of drinks and pastries often puts us in the mood for documenting the scenery. For most of us, this would mean taking these images from our handiest gadget around – our smartphones. 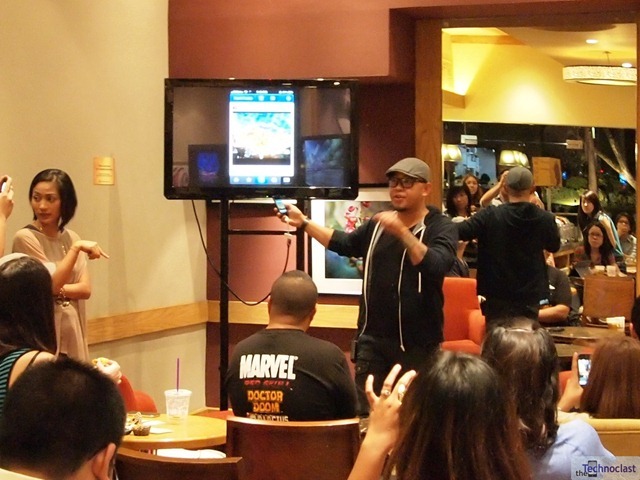 The Coffee Bean & Tea Leaf seems have caught on to that phenomenon, as they recently held an event to encourage cellphone photography, social media sharing, and all related activities. Of course, with the implication that you’ll hopefully enjoy taking these pictures alongside their newest flavors for this summer – the Pineapple Vanilla Ice Blended & the Pineapple Fru-Tea blended ice drinks. A renowned fashion photographer, Xander Angeles was able to guide participants, including us, in his process of creating great pictures from his iPhone. We were reassured of course, that any cellphone or smartphone that can take pictures can be used to create the same effects. However, Instagram was definitely one of the more popular topics during the discussion – an app that is currently only for iOS devices and coming to Android soon. It was, however, more important to note the specific methods and editing style that would result in some very interesting images. A lot of landscape photographs were shown, with a high dynamic range style, increased contrast, and some dramatic tones – creating very impactful images that are worth sharing, even when they’re only coming from your phone. A few notable apps mentioned for iOS were Adobe Express which is free, and a much more advanced app called Snapseed that costs $4.99. 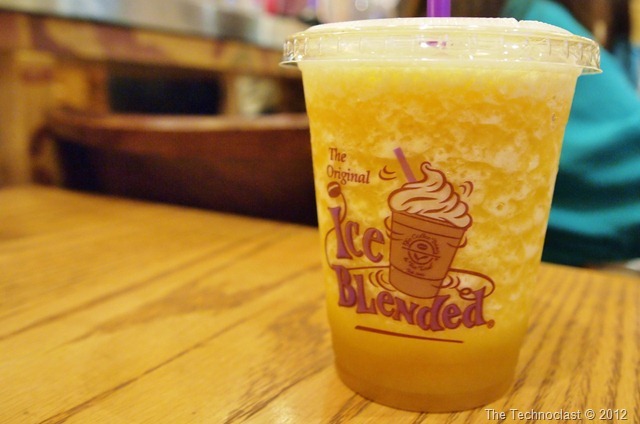 Of course there was also talk about CBTL’s new summer flavors – namely the Pineapple Vanilla Ice Blended drink (pictured above) and the Pineapple Fru-Tea. (top image) Both drinks are now available for PHP 145 per glass, or PHP 165 for a larger serving. The former is a unique creamy drink that brings an unusual mix of pineapple with vanilla – creating a unique taste. While the latter is more of a traditional Pineapple fruit juice, but with a mix of handpicked Tea leaves for a herbal twist. 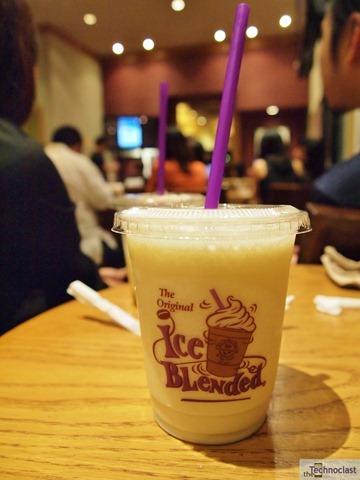 Both drinks are in blended ice form, perfect for the heat this summer season. Whether you’ll be off to your respective provinces this summer, going on vacation, or even staying in Manila, stop over a CBTL near you and cool off with these new Pineapple flavors – and don’t forget to take pictures while you’re at it! Yup, its quite a tasty drink. Quite sweet though, but we prefer it more than the Vanilla Pineapple one, unless you like the mixed taste.